Hi! My name is Danielle Mahoney. Teaching second grade for nine years was a dream come true for me. As a classroom teacher, it was important for me to do my best to make reading accessible to all of my students. After obtaining my MS in Literacy Education at Long Island University in Brooklyn, New York, I went on to achieve National Board Certification in Reading-Language Arts and continued to strengthen my skills as a reading specialist. Over the years, I was heavily involved with the leadership groups at the Columbia University Reading and Writing Project and watched my students soar as readers and writers. At the end of the 2009 school year, I was given the opportunity to apply for the position of Literacy Coach for my school. Although I loved working with my own group of students, I took a deep breath and decided to make the leap out of the classroom. Literacy Coaching has been challenging and rewarding. I love working with teacher teams as well as with students, parents and support staff. The learning never stops! I just finished up an amazing, year-long certification program with Mindful Schools. 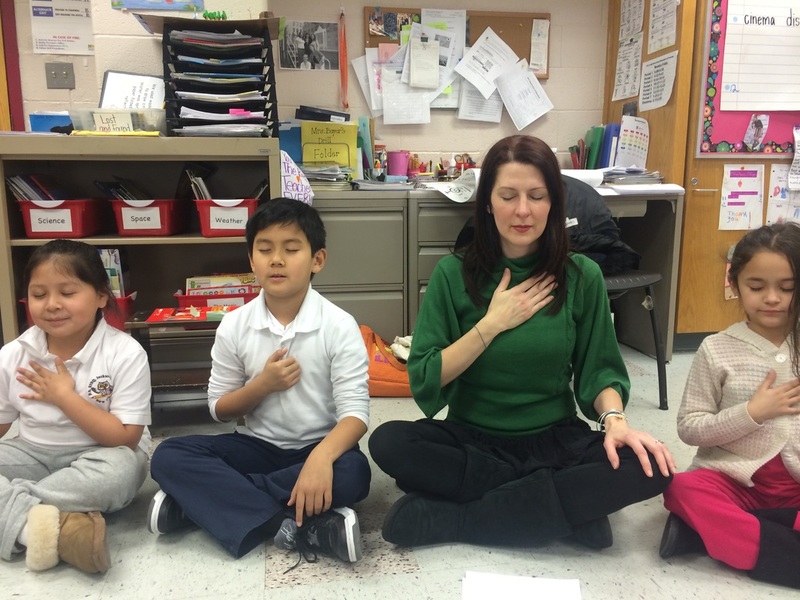 Teaching mindfulness to students has been the most rewarding work of all. Find out more about my experience with mindfulness here. Here we are sitting in the classroom during a heartfulness practice! Cindy, Tenzin, Aubrey and I are sending kind thoughts to others. . . and to ourselves. I love teaching and coaching at P.S.212 in Jackson Heights, New York. We have about 800 students in our school with classes that run from pre-K to grade 5. The school is located in one of the most diverse neighborhoods in New York City. We celebrate our cultural diversity throughout the school year with literacy, music, art, and, of course, huge celebrations that involve food! We have a large ELL population, as many any of our students are learning English as a second language. With a great need for support from within the home, we offer after-school classes to parents and caregivers who want to learn how to read, write, and speak English. As a 2nd grade teacher, my classroom was organized to foster a true love of learning. Children were always respected. Expectations were clear and set with learning goals in mind. There was movement, art, music, and technology involved in my lesson planning. Now, as a literacy coach, I’ve learned to respect the different teaching styles of the educators I work with and use some of the same elements from my classroom experience in my coaching. I try to bring hands-on activities and technology into my professional development workshops as well as model great expectations. 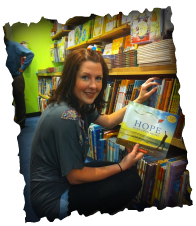 An intense love of children’s literature comes with being a literacy specialist. As adult readers, we know that a good book can make you laugh or cry. As teachers, we know that a good book can also be the key in helping a child become a better reader and writer. I truly enjoy assessing children’s individual needs as readers and writers and plan for instruction that will meet those specific needs. With the right book level, we can provide the appropriate practice for a struggling reader. With the right author, we can spark an interest in a new reading series. With the right genre, we can take students on a journey they never could have imagined. Using mentor texts to teach the craft of writing or the foundations in reading, can make reading and writing enjoyable and accessible to all students. 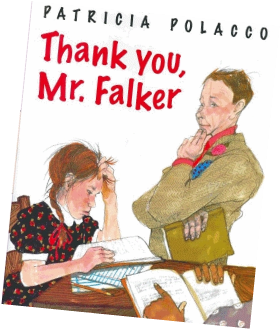 Patricia Polacco’s book, Thank you, Mr. Falker, is a rich resource that should live on a bookshelf in every elementary classroom. I use it often to help struggling students cope with their frustrations with learning how to read and to deal with the feelings that come along with being teased about it. I think it can also be a great resource for a literacy coach as well. Mr. Falker was insightful, creative, tough, patient, and kind. We can all learn a little something from him. Just think, with his interventions, Patricia Polacco learned how to read… and write.